If you’re like some men, your daily skin care routine has room for improvement. Gone are the days of a bar of soap, a quick shave, and a too-big splash of oppressive cologne. Today’s skin care and men’s grooming are considered far more serious, and beneficial, than that. You also have a million choices: body lotions, anti-aging creams, acne treatments, facial cleansers, and so on. But, as always, we’re here to help. In this post we’ll discuss the best skin care products for men, starting with Brickell’s Men’s Purifying Charcoal Face Wash Along the way, we’ll provide some buying tips as well as reviews of the best products in nine categories. 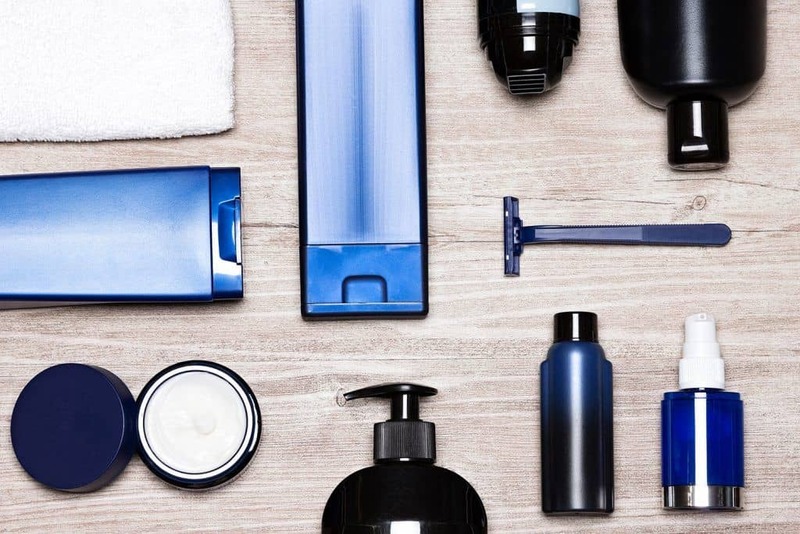 Our advice for purchasing any men’s grooming product is always the same, i.e., don’t grab the first item you see on the shelf. Or, the one with the coolest packaging or logo. 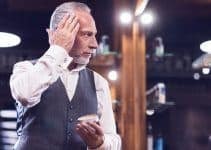 Considering that this post is about men’s skin care products, it only stands to reason that your type of skin is a high priority during the selection process. Whether it’s body lotion, anti-aging creams, facial cleansers, or acne treatments, knowing your skin type is everything. Every man’s skin needs a certain amount of oil to maintain its proper pH balance. But some men’s skin is oilier than others and you fall into this category if you have large visible pores and if you develop a slightly greasy, oily sheen not long after you washed your skin. Oily skin men need to use products that regulate oil production without drying out their faces. You’ll know that you have dry skin by the flaking, itchiness, and tightness that accompany it. Your mission is to find skin care products that take care of dirt and grime without stripping the skin of natural oils. Look for products with strong moisturizing qualities. If your skin is prone to irritation or redness after your skin care routine, you probably have sensitive skin. Your quest includes looking for products packed with soothing ingredients – such as aloe vera – and that help to balance your skin’s pH level. Combination skin means that you have skin that’s oilier in some places and dryer in others. Search for skin care products that get rid of dirt and oil from your skin without stripping it of your natural oils, as well as provide proper hydration. Ingredients are everything when it comes to skin care products. We prefer natural ingredients, and many of our reviews include products loaded with natural ingredients, but we’re not saying that you should only buy products that include them (but know that we like natural ingredients a lot). There are a variety of ingredients to look for – depending on your skin type, of course – regarding fash washes and cleansers, including aloe, salicylic acid (which exfoliates and moisturizes), glycolic acid, allantoin (good for sensitive skin), olive oil, coconut oil, and more. Retinol, a common ingredient found in skin care products, is an important ingredient for face moisturizers because it acts as an exfoliating agent that reduces dead skin cells that clog pores. Also look for moisturizers that have antioxidants such as vitamins A and C, green tea, pomegranate, etc. Alpha Hydroxy Acids naturally found in many fruit products also help clear away dead cells while smoothing out the skin. Two important ingredients in acne washes are benzoyl peroxide and salicylic acid. Benzoyl peroxide kills bacteria that causes acne and removes excess oil and dead skin cells that may clog pores. Another common acne wash ingredient is alpha hydroxy acid. Anti-aging creams include a couple of big-named ingredients – dimethylethanolamine and methylsulfonylmethane (spelling quiz next week) that are natural, not chemical. DMAE prevents the loss of elasticity in the skin while MSM helps skin cells be more absorbent. Other key ingredients in anti-aging creams are retinol, hyaluronic acid, glycolic acid, antioxidants such as vitamin B3, C, and E, and more. Creams with Coenzyme Q10 are good for reducing wrinkles around the eyes. Many of the top quality exfoliators include natural ingredients such as pumice, cornmeal, walnut shell powder, caffeine, and oats. Skin exfoliators also contain scrubbing beads that remove dead skin cells and range in size from super fine to coarse. Caution: Do not choose microbeads made of polyethylene plastic. They wreak havoc with the environment and are banned in the U.S.
You’ll find Ingredients such as beeswax, shea butter, essential oils, and cocoa butter in lip balm. Important ingredients to look for in body lotions are ceramides, alpha hydroxy acids, emollients, humectants, and alpha hydroxy acids. Also look for moisturizing agents such as shea or cocoa butter, carrier oils, and essential oils such as green tea oil, peppermint oil, and tea tree oil. Your climate – Where you live, whether it’s in a harsh climate or a milder climate, should influence your skin buying decisions. Price – The price of a product doesn’t determine its quality, so what really matters in this case is your budget. Just know that some expensive brands are worthy of their price tags, while others are not. On the flip side, an inexpensive product may suit your every need. Fragrance – Are you looking for skin care products that have a noticeable fragrance? It always helps to check out a product’s scent before deciding to buy it. Hopefully, the above information helps you during the buying process, and there may be other deciding factors that fit your personal needs and style. But now let’s move on to the best men’s skin care products 2019. Don’t get us wrong, we’re all about cleanliness. And, technically, there’s nothing wrong with washing your face with bar soap. But you can do so much better. While standard bar soap removes dirt and grime, it dries out your facial skin and can strip it of its natural oils. That’s why we strongly recommend that you use a fash wash such as Brickell’s Men’s Purifying Charcoal Face Wash. It cleans your face, just like a bar of soap, but does so while gently removing oil and bacteria without irritating or drying out your skin. Don’t be fooled by “charcoal” in its name, meanwhile. We’re not talking about charcoal in the same sense as we would the type of organic matter over which you grill meat. True, it’s the same substance, but used in a medical grade form you’ll find in many skin care products. Charcoal is good for the skin because toxins stick to it to provide deep cleansing and detoxification. It’s non-abrasive but digs deep to remove excess oil, bacteria, free radicals, and other irritants from your skin’s pores. And, again, it doesn’t dry out your skin in the process. Jojoba oil – Which helps your skin to retain needed moisture by providing a protective cushion (after cleansing it of dirt and bacteria). Olive oil – Olive oil gently dissolves and removes oil from your face while replacing it with healthy oils which nourish facial skin. Aloe vera – Aloe vera is an ingredient common to many, many skincare products and it works to retain moisture after the other active ingredients give your face a deep-cleaning. Other ingredients – Brickell’s Purifying Charcoal Face Wash includes a variety of other natural and organic ingredients and nutrients, including white willow bark extract, peppermint leaf oil, lemongrass oil, vitamin E, vitamin B-5, vitamin C, eucalyptus oil, and more. Another reason we included the Purifying Charcoal Face Wash on our list of best men’s skin care products is that it’s suitable for men of all facial skin types. Moreover, the green tea and essential oils act as a skin toner, which makes it an excellent multi-purpose face wash. The good folks at Brickell advise using their Purifying Charcoal Face Wash twice a day – morning and night – and after you exercise. To use, first wash your face with warm water, then rub a quarter-sized amount of the wash over your face with your hands. Brickell has made quite a name for itself in the past four years. 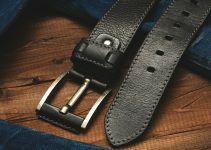 Started in 2014 by co-founders Josh Meyer and Matt Bolduc – with their first “headquarters” being Matt’s garage – Brickell sells its products in over 20 countries while garnering the attention of many major publications. With products such as its Purifying Charcoal Face Wash, their growth shows no signs of slowing. It should be a part of every man’s skin care regimen. Before we dig into Jack Black’s Pure Clean Daily Facial Cleanser, let’s talk a bit about the differences between fash washes and cleanser. The truth is, there aren’t a lot. Both facial cleansers and face washes serve the same basic function, i.e., they clean your face. Perhaps the main difference between the two, however, is that a face wash is more like soap, including in how it lathers (more than a cleanser). The best face washes don’t include ingredients found in bar soap that dehydrate the skin and cause irritation. A facial cleanser, meanwhile, is a non-foaming liquid that doesn’t need to be rinsed out after application. Cleansers are great for removing oil-soluble impurities from the skin while hydrating it. Like a facial wash, cleansers work to remove dead skin cells, dirt, and excess oils. While face washes work superbly as part of your everyday grooming routine, a cleanser is a good choice if you’re exposed to excess dirt, grime, and air pollutants during the day. If you work outdoors, gives your face a good washing with a facial cleanser once you’re home from work. 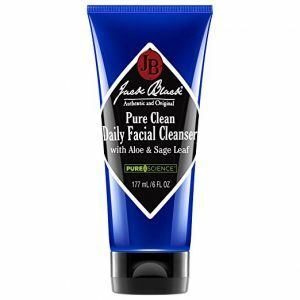 OK, now on to Jack Black’s Pure Clean Daily Facial Cleanser – the best men’s facial cleanser for 2019. Why is it so good? For starters, it’s a two-in-one facial cleanser that digs deep to remove dirt and oil and to leave your face clean and shave-ready (if you so desire). Secondly, it doesn’t over-dry your skin but instead leaves it properly hydrated and fresh. Like many great men’s grooming products, the secret of Jack Black’s Pure Clean Daily Facial Cleanser lies within its list of ingredients. The Pure Clean Daily Facial Cleanser’s cleansing action is powered, in part, by witch hazel – which acts as an astringent, antioxidant, toner, and anti-irritant. Oat and coconut-derived surfactants also help clean the skin. Certified organic ingredients such as organic sage leaf and rosemary have anti-bacterial properties as well as healing benefits. Organic chamomile and aloe leaf soothe the skin and reduce redness. All of Jack Black’s skin care products are dermatologist-tested and approved, and consist of organic ingredients that are gluten and paraben-free, as well as vegan-friendly. It’s all part of Jack Black’s PureScience formulas which help lock in the therapeutic benefits of natural ingredients. Another benefit of the Pure Clean Daily Facial Cleanser is that it works well for men who suffer from blackheads and acne because of the way it unclogs skin pores. Then again, it’s good for men of all skin types, and you’ll like its lightweight texture. You’ll like how your face looks and feels after an application of Pure Clean Daily Facial Cleanser. Your face will feel clean and look polished (but not greasy or oily), and left with a light herbal scent that isn’t overpowering. True, the mark of a good moisturizer is how well it hydrates your face. It wouldn’t be a moisturizer if it didn’t. However, if you find a moisturizer that not only moisturizes but provides other skin benefits there’s no reason not to take a long, serious look at it. Like Brickell and Jack Black, Rugged & Dapper – founded in Los Angeles by the husband and wife duo of Ryan and Janine Labaqui – is a serious player in the men’s grooming game. Their list of skincare products is designed exclusively for men, especially “everyday” men who lead hectic lives. Also like Brickell and Jack Black, R & D’s products include natural and organic ingredients and not the harmful chemicals and toxins found in many skincare options. The key natural ingredients found in Rugged & Dapper’s Face Moisturizer for men are aloe vera, botanically-derived hyaluronic acid, jojoba oil, shea butter, as well as a host of vitamins, minerals, and antioxidants; all of which make it a good skincare choice for men with all types of skin. There’s much more to like about this face moisturizer, as well, including that it’s lightweight and non-greasy, and that it’s fragrance-free. There’s no need to worry whether your face smells a bit non-masculine. But it’s the multi-purpose nature of R & D’s Face Moisturizer for Men that helps make it a cut above the rest. If you’re an older gent, you’ll appreciate how this moisturizer helps prevent the signs of aging on your face. While no product can stop the aging process – the search for the proverbial Fountain of Youth continues – a good facial moisturizer does help to reduce fine lines and wrinkles. Rugged & Dapper’s face moisturizer also provide defense against the sun’s damaging rays, as well as against harsh weather conditions, that may accelerate signs of aging. Because of its thinner texture, the R & D Face Moisturizer for Men absorbs quickly and easily into the skin without leaving behind a greasy or shiny residue. Instead, your skin will have a smooth, matte finish. Perhaps the first thing to say about Humane Benzoyl’s 10% Acne Treatment is that it’s strong stuff. Really strong. Strong enough that you shouldn’t use it if you have sensitive skin. But strong is an excellent attribute to have on your side in the fight against acne. While Humane’s Benzoyl Peroxide 10% Acne Treatment Body & Face Wash doesn’t include abrasive chemicals such as propylene glycol, sodium lauryl sulfate, or formaldehyde (avoid them like the plague), it does contain Benzoyl Peroxide, a common ingredient that’s used to treat mild to moderate acne. Benzoyl Peroxide is different from salicylic acid, another common acne-fighting ingredient, in that it kills the bacteria that causes acne breakouts. Salicylic acid, on the other hand, removes dead skin cells that clog skin pores and may lead to acne. Humane’s Benzoyl Peroxide treatment treats acne on the face, body, and back. It comes in a non-foaming lotion that absorbs quickly into the skin and is good for daily use. However, if you notice redness, irritation or peeling skin with everyday use, you may want to scale back to once a day (instead of in the morning and at night), or every other day. While it digs deep into pores to kill acne-causing bacteria, it also clears existing pimples, whiteheads, blackheads, and other blemishes. Yes, it’s great for teens who often fight acne on a more daily basis than other age groups, but it’s also excellent for adults who struggle with acne breakouts. If you’re one of those adults, you’re certainly not alone. Another reason to like Benzoyl Peroxide is that it’s anti-inflammatory. It’s strong stuff, indeed, but the pump that comes with the container ensures that you get the proper amount of product with each use. Humane’s Benzoyl Peroxide treatment also includes sodium benzoate, sodium hydroxide, and a good dose of old-fashioned water. Sodium benzoate is found in cranberries, plums, and other fruits, and works to eliminate scarring that often comes with acne. Sodium hydroxide, meanwhile, helps keep skin smooth and elastic. A couple of other points about this product, 1) give it time to work. It may take up to six weeks before you get noticeable results, but the key is to apply it on a daily, consistent basis for several weeks; and, 2) use a gentle cleanser to wash your face before applying it. After you’ve patted your face dry following the cleansing, apply a thin layer of the Humane Benzoyl Peroxide, and let it sit for three to five minutes before washing it off with warm water. If you do experience some irritation while using this product, treat your skin with an oil-free moisturizer after applying Humane’s Benzoyl Peroxide. Finally, Humane offers a 100% satisfaction guarantee. If you don’t like it or it’s not working for you, just let them know to get a full refund. Getting old doesn’t have to be so difficult. True, you may feel aches and pains that you never felt before, you can’t burn the midnight oil as you did in, say, your 20’s, and your skin is showing signs of aging. Fortunately, products such as Brickell Men’s Revitalizing Anti-Aging Cream is here to help – at least when it comes to your skin. It’s the best anti-aging cream for men. As with all their products, Brickell’s list of ingredients in their Men’s Revitalizing Anti-Aging Cream is 100% natural. Natural ingredients don’t always seal the deal, but they are better for your skin in so many ways. They also work to slow the signs of aging, which is the bottom line in this case. Two important ingredients in Brickell’s Anti-Aging Cream are dimethylethanolamine and methylsulfonylmethane – two big, bad chemical-sounding names. But don’t let the names fool you; both DMAE and MSM come from natural sources. DMAE counteracts facial atrophy, a leading cause of wrinkles, while MSM – found in foods such as spinach and kale – reduce age spots and other pigmentation issues. Another powerful, natural ingredient found in Brickell’s Anti-Aging Cream is green tea. Green tea is a strong antioxidant that helps reverse signs of aging and sun damage. Hyaluronic acid, considered the ultimate moisturizer, helps reduce the appearance of fine lines and wrinkles by absorbing and retaining moisture. Another ingredient is aloe, which helps soothe the skin to prevent irritation. Another word about Brickell’s ingredients: they don’t include parabens, sulfates, glycols, petrochemicals or a whole lot of other chemicals that can irritate and dry out your skin. You’ll like the thick texture of Brickell’s Anti-Aging Cream and the fact that a little of it goes a long way. Just use a dime-sized amount for each application; one container should last a month and a half, or more. For the best results, use it twice a day – once in the morning and once before bedtime. Its moisturizing effects continue working while you sleep. Many reviewers rave about Brickell’s Anti-Aging Cream’s scent, which is a mix of peppermint, eucalyptus, and lemongrass. The fragrance is refreshing, not overpowering, and lingers throughout the day. Again, there’s no stopping the process of aging, but products such as Brickell’s Anti-Aging Cream help slow its progress while reducing its obvious signs – such as wrinkled skin. Don’t let the name fool you – Brickell’s Renewing Face Scrub For Men is a true exfoliator because it contains pumice. And pumice’s primary purpose is to remove dead skin cells, which is what the exfoliation process is all about. No matter what you call this product, however, it gets the job done in true Brickell fashion (which is to say it’s of the highest quality). The Renewing Face Scrub For Men handles the hard work of clearing away dead skin, excess oil, and other facial impurities without drying out your skin. Instead, it leaves skin feeling soft and your complexion clear due to natural scrubbing particles – jojoba beads and pumice – while other ingredients such as aloe vera nourish the skin. Then again, all of Brickell’s products consist of natural and organic ingredients and formulated specifically to treat a man’s tough skin. The Renewing Face Scrub has 98% natural ingredients and 70% organic. Among the other natural ingredients found in this scrub are avocado butter and vitamin E, which help nourish skin, while coffee extract and green tea help energize your skin and senses. What you won’t find are harmful parabens, sulfates, gluten, petrochemicals, synthetic fragrances, or other types of non-natural stuff that isn’t good for you. The Renewing Face Scrub for Men has a pleasant scent thanks to the coffee extract and green tea. Another reason we like this product is that you can use it as a pre-shave to break down tough facial hair and soften the skin. The result is a close, comfortable shave that’s hard to beat. Also, Brickell’s Renewing Face Scrub for Men works well for men of any age or skin type. If you’re prone to an oily buildup on your skin, or blackheads and ingrown hairs, you’ll love this scrub. The scrub comes in a 4-ounce jar that should last you about two months if you use it two to four times a week as part of your skincare routine or before you shave. Anyone who lives in a cold climate at this time of year, or anyplace where harsh weather is not uncommon, knows what impact the environment has on his lips. Dried skin, chapping, soreness – all are symptoms that can make a long winter seem even longer. But at least you can thank the skin care gods for lip balm. The stuff is almost mandatory for surviving grueling stretches of harsh weather, particularly products like Jack Black’s Intense Therapy Lip Balm SPF 25. Jack Black’s signature lip balm is our choice for the best lip balm of 2019 for many reasons, including that it includes beeswax, which provides protection, and shea butter, which serves as the primary moisturizer. Both provide natural protection against Mother Nature’s most harsh conditions. We also like it, a lot, because it also includes sun protection and has an SPF of 25, which is higher than what you’ll find in any product that’s not labeled “sunscreen.” Other key, natural ingredients include green tea, avocado oil, and cocoa seed butter. 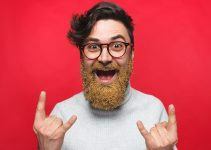 Jack Black is another company that sticks by the premise that men’s grooming products should have natural ingredients. The Jack Black Intense Therapy Lip Balm comes in a tube, not in a lipstick-like container like many lip balms, but is easy to apply. It even comes in a variety of flavors for you folks who prefer that sort of thing in a lip balm (and not that there’s anything wrong with it). Its mint flavor is said to freshen one’s breath. You’ll appreciate that this balm spreads easily on your lips without leaving a lot of shine. Moreover, it’s dermatologist-approved. All in all, this is the lip balm to have with you whether it’s a frigid January morning in America’s Midwest or a hot day at beaches around the world. Your lips will thank you for it. Lubriderm has a long history of making high-quality products for women. Some say, however, that their 3-in-1 Body Lotion is even better than their lotion designed for women. We’ve talked about before, but it’s worth repeating. Men’s skin is different from women’s, it’s 25% thicker for one, so it only makes sense that a man needs a lotion that caters to his skin. Men also have more collagen than women, so finding a lotion that provides a collagen booster is important. Lubriderm’s 3-in-1 Body Lotion does that and more. As its name suggests, this lotion is a triple-threat: it works as a body and face lotion, as well as a post-shave lotion. It’s also lightweight, fast-absorbing, and non-greasy. The Lubriderm brand is all about healthy, comfortable skin. Their dermatologists understand that skin is often impacted by the environment, including extended exposure to the elements, and loses its ability to retain moisture over time. But Lubriderm is clinically-proven to improve moisture and collagen to give your skin a full feeling of elasticity. It’s enriched with aloe that soothes the skin, especially after shaving. Lubriderm’s 3-in-1 lotion comes in a 16-oz pump container that’s easy to use and cost-effective. We think you’ll also like its scent, which is decidedly masculine with hints of black pepper and sandalwood. There aren’t many men’s body lotions on the market that smell this good. Yet another quality product made by Brickell, this men’s eye cream does everything you’d expect a good eye cream to do – and more. Yes, Brickell’s Men’s Restoring Eye Cream will help you get rid of those unsightly bags and dark circles under your eyes. It also gets rid of crow’s feet. It even acts as a great skin toner that reduces the appearance of age spots and gets rid of puffiness. Indeed, there’s a lot to like about this eye cream, just as there’s a lot to like about Brickell, a company that’s risen quickly in the men’s grooming field simply because it makes great products. Their Restoring Eye Cream for Men works for men of any age and skin type, and is lightweight enough that it absorbs quickly following application. It doesn’t leave a residue or shine, but instead provides a natural look that makes skin more vibrant and youthful looking. Matrixyl 3000 is a blend of protein peptides that boost the production of collagen, which is the main structural protein of the skin. Also known by its scientific name (Methylsulfonylmethane), MSM sounds like a heavy dose of chemicals but you’ll find it in “super” foods such as spinach and kale. MSM reduces age spots and other common skin pigmentation issues. Caffeine – that wonderful kick-start in the morning as well as a beneficial ingredient in many men’s grooming products. In this case, it acts as a natural stimulant that reduces puffiness around the eyes while eliminating dark circles by increasing blood circulation to the skin around the eyes. While you might not see significant results immediately after using this eye cream, you will notice a big difference in due time. One jar should last you 45 days if you apply the cream twice a day, as advised. What you won’t find in Brickell’s Men’s Restoring Eye Cream are sulfates, parabens, glycols, phthalates, petrochemicals, silicones, and other assorted synthetic stuff that isn’t all that good for you. It’s vegan-friendly and Brickell never tests its products on animals. 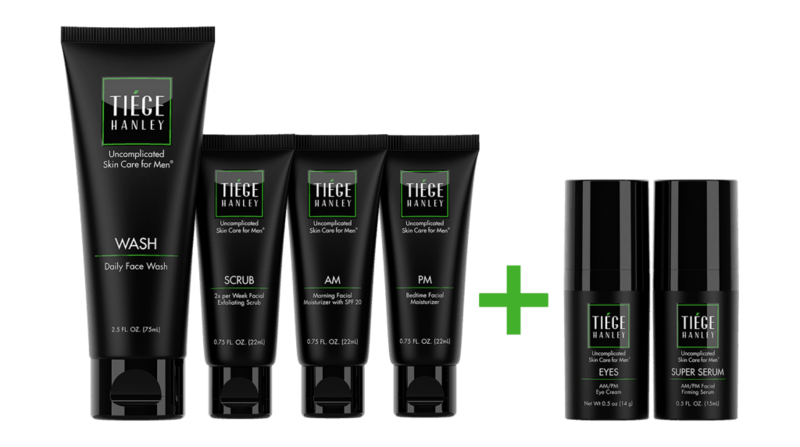 Tiege Hanley has you covered with its Skin Care For Men Level 3, no matter what treatment you want to use to keep your skin healthy and rejuvenated. In short, it’s an all-around skin care treatment that covers all the bases without over-complicating things. But that’s how the founders of Tiege Hanley prefer things; they started their unique company with the idea that men’s skin care products are often too-complex and overpriced. And, hey, if you can provide everything your skin needs on one system – why not? The Tiege Hanley Level 3 system includes everything you get with Level 2 while adding the AM/PM firming serum. The latter is called Super Serum for a reason: it’s a formula packed with antioxidants, anti-aging ingredients and vitamins that provide a “turbo boost” for your face. Using the Super Serum twice daily promotes improved blood circulation to the skin, better nutrient absorption and water retention, all while leaving your skin feeling hydrated and smooth. It’s also fragrance-free, a plus for men with sensitive skin. The Super Serum’s list of ingredients also includes a peptide called Acetyl Hexapeptide-8, which relaxes the muscles of the face to, in turn, slow down the aging process. You’ll maximize the effectiveness of the Super Serum if you use it in combination with the other products included in the Level 3 system. The Tiege Hanley AM/PM Eye Cream is an highly-effective weapon to have in the fight against crow’s feet, circles under the eyes, and puffiness. They’re “blemishes” that can make you look tired – if not tired and angry – but the AM/PM Eye cream increases circulation to the skin around your eyes while also tightening it. The key ingredients found in this eye cream are vitamin B3 and caffeine; the latter works as an antioxidant that helps prevent the sun’s most harmful UV rays from irritating the skin. You should use the eye cream in the morning and at night, as its name suggests, but the good news is that a little of it goes a long way. Tiege Hanley’s daily face wash is also part of the Level 3 system and it ranks among the best moisturizers for men. It not only removes dirt, grime, and excess oil produced by the skin, but also reduces redness and inflammation without causing the skin to become too dry. Cucumber extract, one of the key ingredients in the Tiege Hanley AM/PM face wash, hydrates and smooths skin, while eucalyptus oil stimulates the skin and also works as an antiseptic. Tiege Hanley’s Facial Exfoliating Scrub is a simple, fast, but effective solution for removing dead skin cells that lead to dull-looking skin, and for removing wrinkles and fine lines. The exfoliating scrub formula includes crushed apricot seeds, which help clear away dead skin cells without the rough, sandpaper feel you get with some exfoliating scrubs. You only need to use Tiege Hanley’s exfoliating scrub twice a week to reap its benefits. You’ll also reap the benefits of the Tiege Hanley AM/PM Facial Moisturizer – another product included in the Level 3 system. And there’s a lot to love about this moisturizer, not the least of which is that it hydrates skin without leaving an oily, greasy feeling behind. Moreover, it has anti-aging and sun-protecting properties to enhance facial skin health further. The PM facial moisturizer works overnight to repair and regenerate skin while reducing signs of aging such as fine lines and wrinkles. It also stimulates collagen production while providing the skin with needed hydration. Among the natural ingredients found in the PM moisturizer are green tea and aloe vera extracts; both have anti-inflammatory, antimicrobial, hydrating, and skin-healing properties. In some ways, this post is a compilation of other best-of reviews we’ve done on the types of products we listed above. But we also wanted to take a fresh approach and do some more research on products we’ve already written about while comparing them to others on the market. A number of factors went into our decision-making, including price. Price isn’t everything, yet we strive to include products that fit a variety of price ranges and budgets. Most of all, we judge a product by its results. If it does what it says it can do, and consistently at a high level, it always gets our attention. Ingredients and ease of use are among other factors, as well. As always, we welcome your feedback. What are your favorite products in each of the categories listed above? What products are you using currently? We’d love to hear from you. Gonna check some of these out. I have been using beard oil from Maple Holisitcs and I want to expand the products I use. I’m torn between Brickell and Jack Black products. I’m new to using facial products but I don’t want to use 6 different things morning and evening. What would be a good routine for morning and evening? Also I gave regular/oily skin so would you recommend Brickell orbIaxk Black? I’m a 35 year old male by the way. What is the difference between a face moisturizer and anti-aging cream? Does one replace the other for a morning routine? If not, won’t using both irritate your skin and make the signs of aging more noticeable? The anti-aging cream usually replaces the face moisturizer. Anti-aging creams contain additional ingredients that help fight aging which are not always present in face moisturizers.